As global operators scramble for fresh reserves to meet rising demand the new frontier of Greenland and the Arctic represents opportunities as well as immense challenges for oil exploration companies. Cees Brummelkamp, Operations Manager at Shell Upstream International, will be a speaker at the marcus evans Greenland and Arctic New Frontier Exploration Forum taking place in London on 8-10 June. As an EER industry expert and former North Sea OMI, Brummelkamp says that overcoming geographical and logistical constraints in exploring these frontier environments is an ongoing challenge. 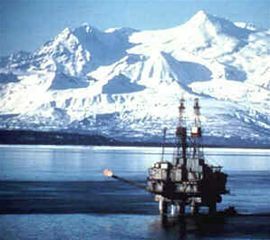 “Oil companies are faced with the challenge to not only develop but build space for the Arctic, particularly in offshore and ice-infested regions. Another key component to the Arctic offshore structure is the Escape, Evacuate and Rescue aspect (EER). This is now captured in the new ISO-19906 standard, set up to develop a global standard governing structural design and EER in Arctic regions. It took almost seven years to develop ISO19906 and then the EER component,” Brummelkamp explains. Greenland and the Arctic are being explored due to the new frontier terrain holding large hydrocarbon reserves, Brummelkamp points out. Such exploration is important to ease over-reliance on unstable areas for energy needs, he adds. “The policy of diverse energy sources is in principal good to have. Reliance on specific regions which may not be defined as being politically stable always carries risk. We’ve seen plenty of examples of that and you only have to follow the market price on global events to see the effect that that has. The marcus evans Greenland and Arctic New Frontier Exploration Forum will take place in London on 8-10 June.